EDIT(04.30.16): Starting Monday, May 2, 2016, the Jim Morrison Hike is closed until further notice. Please see for more info here. Will keep blog below for informational purposes. Probably the easiest hike I’ve ever been on and Wow! the Views! and Wow! that cave! 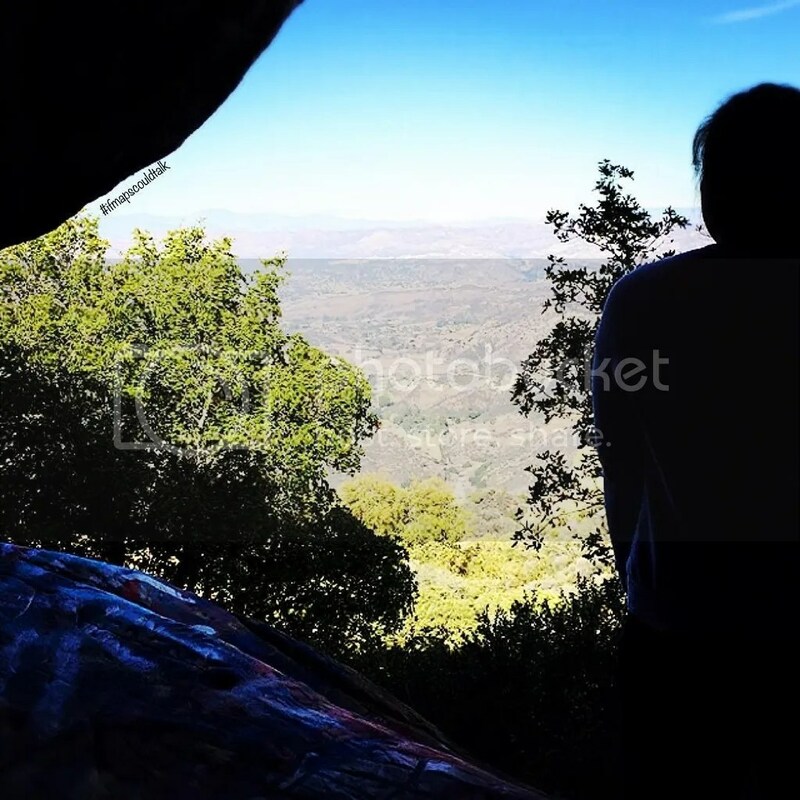 Someone on Instagram posted a picture of that cave and I was like “I need to go there!” I looked through the web to find it and ended up on Yelp! where someone explained that I had to go through a birth canal and I was like “what?” The best website that I found was through Jorda_B, who is a blogger and lover of all things Los Angeles. I’m so thankful for her directions or my friend and I wouldn’t have found the cave in the first place. Check out the link here. Rumor has it that Jim Morrison, the lead singer of the Doors, used to come here to escape and write. After going there, I could imagine him doing more than that… lol. I mean you can really do a lot of things there without getting caught especially with the pink graffiti walls (if you know what I’m saying) Yet, I’m just going to keep this PG. The cave is really easy to find if you follow the directions correctly. Below is a more cohesive map that’s probably easier to read. 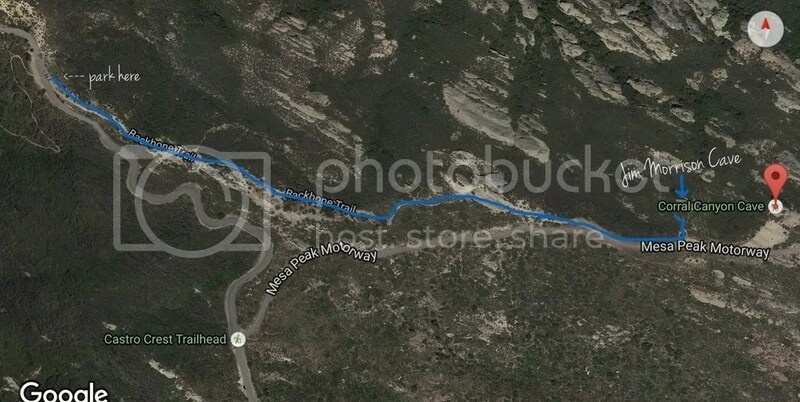 My friend and I pretty much put Coral Canyon Cave in Waze to get directions from our starting point since Jim Morrison cave is right next to Coral Canyon. I don’t know why Waze think you can drive there but once you turn to Coral Canyon Rd just keep going till you hit a “dead end.” This is pretty much where the pave road becomes a dirt road and you can’t drive anywhere else. You’ll probably see cars there. When you park your car, walk back to the trail next to the entrance. There’s going to be a lot of forks on the trail, but what I’ve noticed is that you have to keep going left. The Jim Morisson cave is between the big rock formation that you have to climb (like in the movie Cars) and the Coral Canyon (the circular meditation path). You’re going the right way! If you see this, you’ve gone too far. If there are people there, you can probably hear them. My friend and I went to check out the coral canyon first because we heard two girls laughing at the caves. We gave them sometime alone so we can have time to ourselves to be as loud and not be annoying to those there (plus, we can take pics of with the luxury of having no one behind it) Unfortunately for us a group of 4 came and they wouldn’t leave! Lol they kept hogging one side of the wall. But then it’s ok, I’d go back! 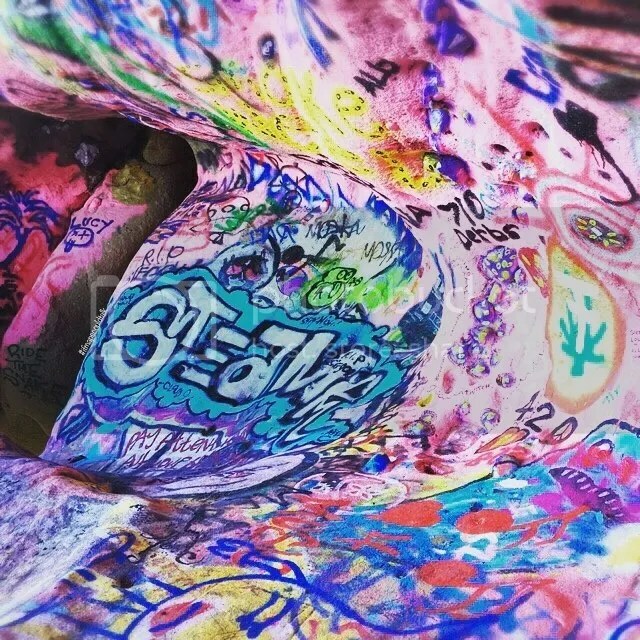 This entry was posted in Hiking, See and Do, West LA and tagged Hiking, Jim Morrison Cave, Los Angeles, Malibu. Bookmark the permalink.